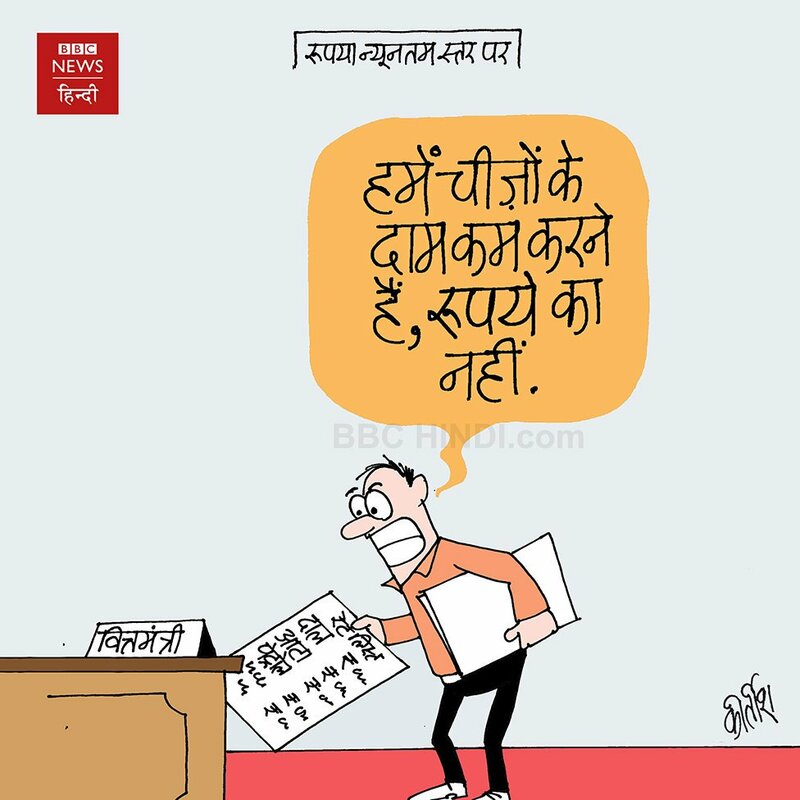 Cartoonist Kirtish Bhatt of BBC Hindi weighs in on the falling rupee, saying Indians wanted costs to fall, not the value of the Indian currency. 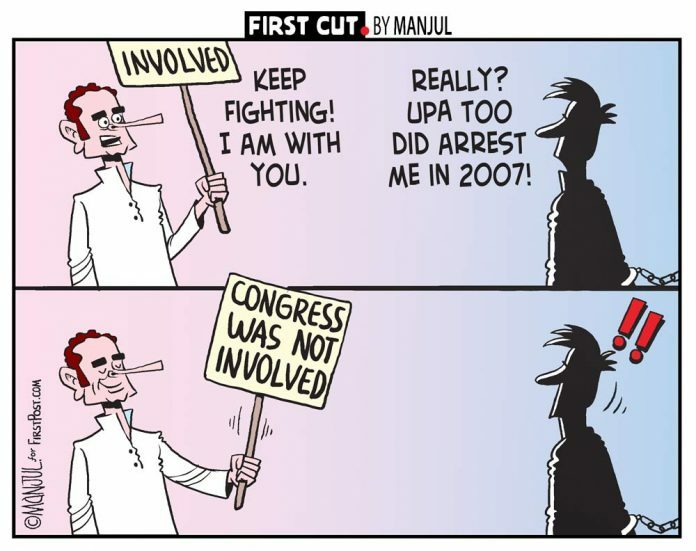 Rupee dropped to an unprecedented 71/$ this Friday. 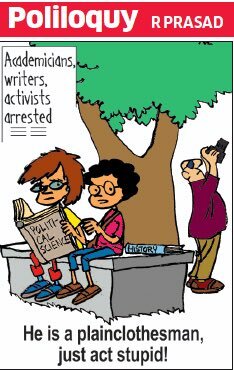 R. Prasad hits out at the recent arrests of activists and academicians in multiple cities for alleged Maoist links. 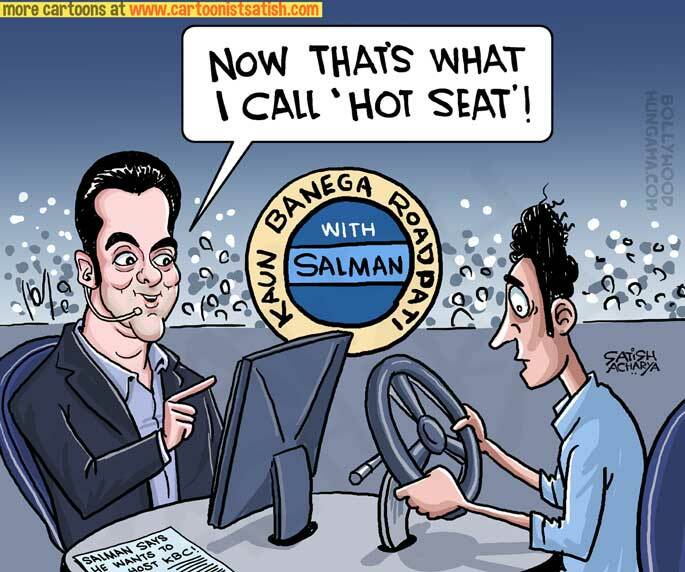 Cartoonist Satish Acharya takes a jibe at Salman Khan’s desire to host the show Kaun Banega Crorepati, with a throwback to the 2002 hit-and-run case. 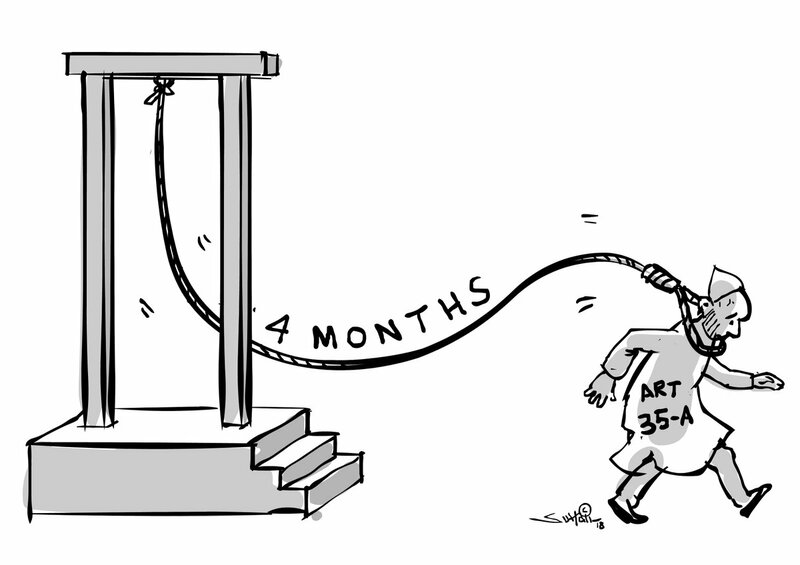 Cartoonist Suhail Naqshbandi weighs in on the Supreme Court’s deferment of hearings on Article 35A till January next year. Cartoonist Manjul draws on the allegations of hypocrisy levelled at the Congress for supporting the five activists arrested for alleged Maoist links this week. 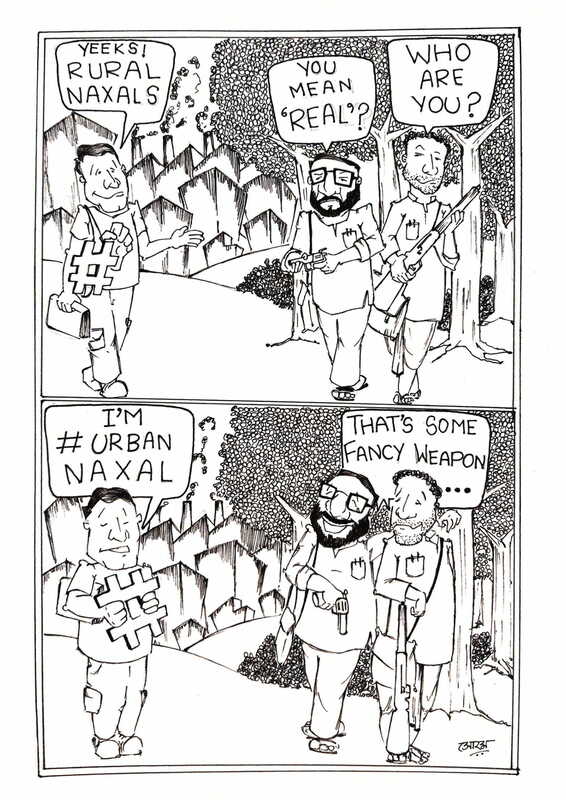 Soham Sen of ThePrint takes a potshot at the hashtag exchange triggered by the arrests of five activists in connection with the Bhima-Koregaon violence.